Hello Fotobella Fans! 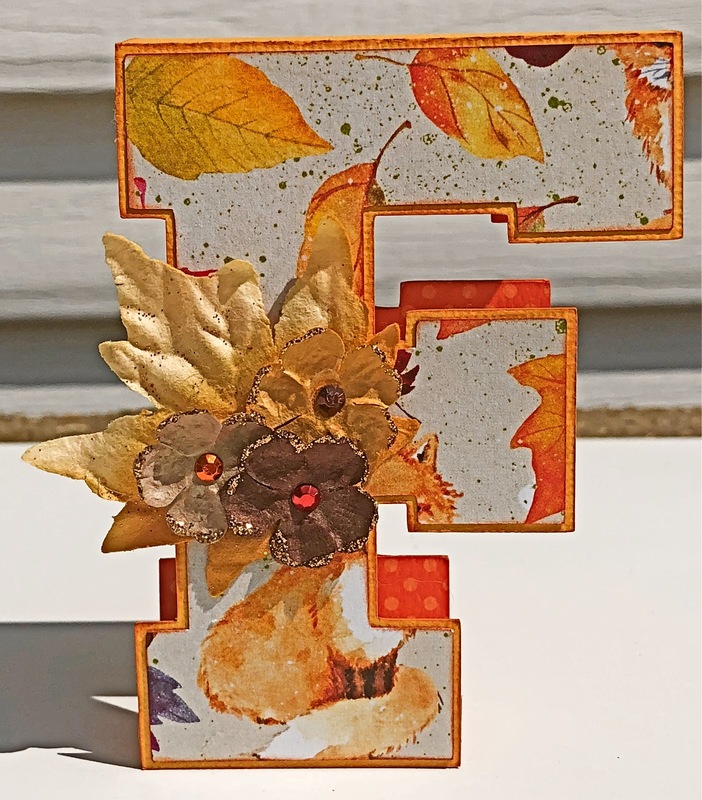 Christi , September GDT from Scrapping For Tranquility Super Excited to be here this month to show you my second post showcasing this beautiful BoBunny Dreams Of Autumn Collection! 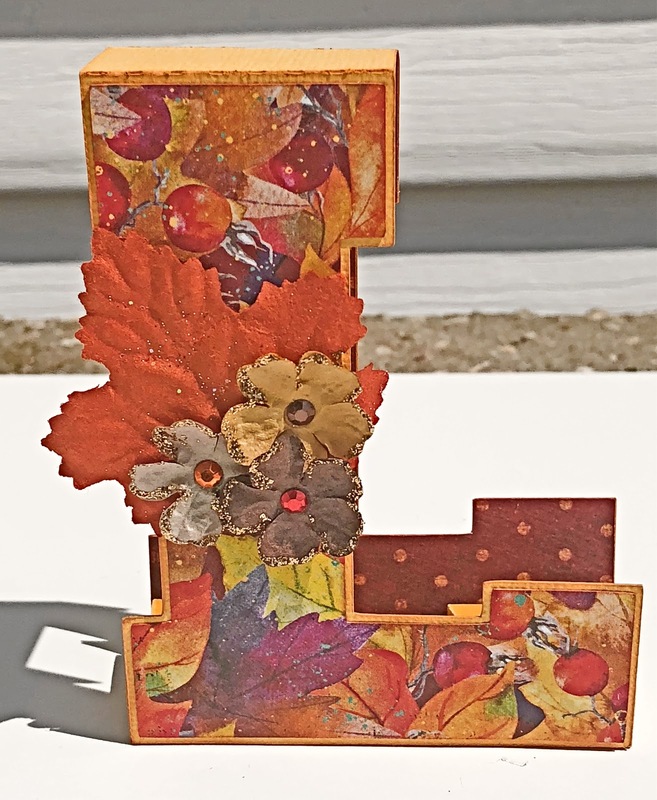 For My Project I made FALL LETTER HOME DECOR. 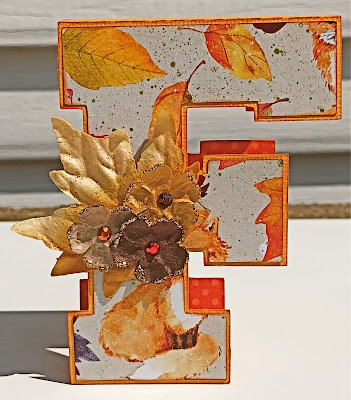 I began with cutting the 3D letters out with an SVG on my Silhouette Cameo 3 , using Solid Core Cardstock in a gold/orange color. Using Rangers Carved Pumpkin Distress Ink, I inked all the edges of my letters of my Solid Core Cardstock and decided what pattern cardstock I wanted to use. Using 1/8 inch Double Sided Scor Tape, I taped my letters together, choosing to alternate the BoBunny Dreams of Autumn Bonus Bundle / Foxes and the BoBunny Dreams of Autumn / Breathtaking on every other letter. 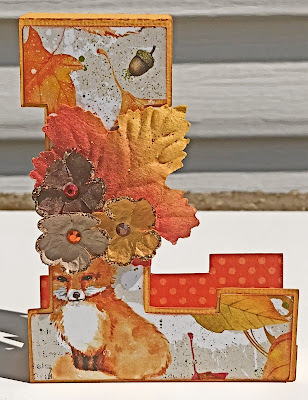 For the shadow or 3D effect of the letters, I then used the BoBunny Dreams of Autumn Coordinating Double Dot / Wine Vintage and Bo Bunny Dreams of Autumn Coordinating Double Dots / Pumpkin Orange. Wanting to Bling the Decor up , I decided to add the Prima Amber Moon/Scarlett Leaves with flowers from the Prima Amber Moon/Bramble Collection and the Prima Amber Moon /Willow Collection. Taking the pearls that the flowers had in the middle, I used heat set studs and set those in the center of the flowers. To finish off the flowers and the whole decor, I again wanted just to add that final extra bling. This is when I decided it needed the Rangers Stickle Glitter Glue / Champagne. I added this to the tips of all the flowers and I think it added that little extra VA-VOOM it really needed. What do you think? Let me know in the comments below! I would love to hear your opinions and comments! 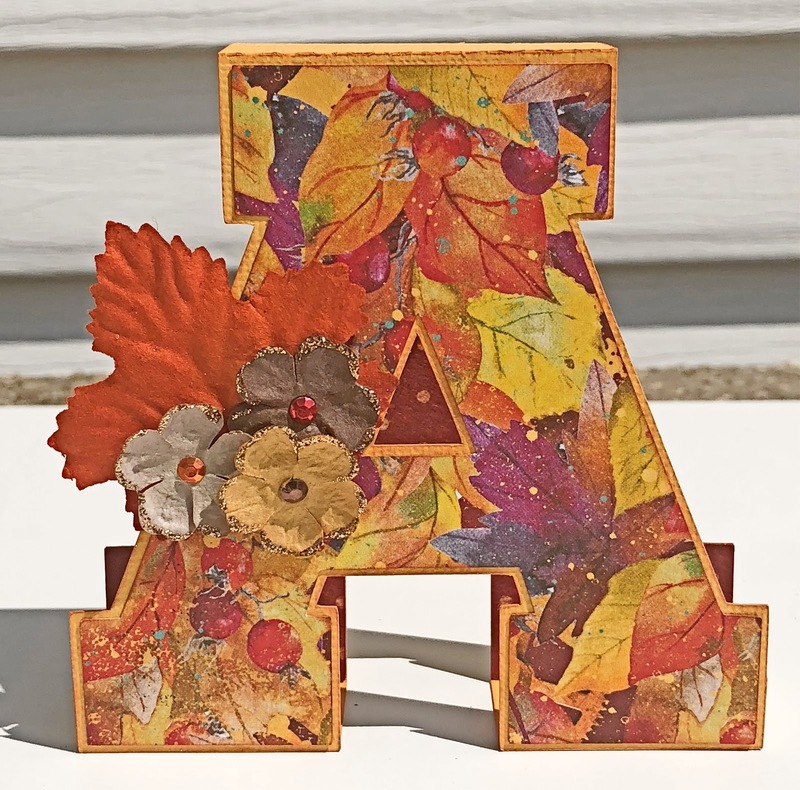 Christi, Your fall decor letters are amazing. Love the colors and the embellishments. You knocked it out of the park with this one! Well Done!